26 experts. will be speaking. Starts at 9:00 AM. Want to learn how to manage and deploy architectures based on microservices? Eager to hear from those at the forefront of microservices? Then join us for the first ever µCon! A packed programme of world-leading experts and industry practitioners is topped off by a park bench panel, where experts and community leaders come together on stage to thrash out new ideas, challenge common assumptions and to answer your burning questions on microservices. This presents the perfect opportunity to master the techniques necessary to make your move to microservices a success. µCon: The Microservices Conference is now SOLD OUT. We are sorry if you were unable to secure a ticket. We are looking into finding a bigger venue. If we are successful, we can issue more tickets. Join the Waiting List if you would like us to notify you if more tickets will be released. Building, managing and deploying architectures based on microservices is not easy. Knowing where to start is part of the challenge. We're therefore very proud to introduce the inaugural conference solely dedicated to the topic of architecting, designing, building and deploying microservices, µCon. Martin Fowler's Microservices article has sparked a great deal of buzz and debate in the Twittersphere and µCon will provide the opportunity to question the leading experts in software architecture and find out how you can use it in your software. Russ Miles will be running a one day workshop the day before µCon: Introduction to Building Microservices Tutorial. Learn how to design, deploy and manage microservice based architectures, a great way to prepare for µCon! We’ve spent over a decade now becoming more and more agile and adaptable in our ways of working. Unfortunately our software is now struggling to keep up with the pace of innovation that is increasingly being demanded by modern businesses. Russ Miles will explore why the Architectural Monolith’s days are numbered. Looking at the greatest failures and small successes of the past, He will help us understand the properties we need from our software in order to survive in a post-agile future and where antifragility, reactive and microservices architectures fit in. In the future your software won’t just have to embrace change, it will need to thrive on it. In this talk you’ll find out how that is achievable today. Russ is an international speaker and author, most recently having published "Antifragile Software: Building Adaptable Software with Microservices" where he explores how to apply Chaos Engineering to construct and manage complex, distributed systems in production with confidence. In recent times Russ has brought the principles of antifragility to software architecture and design, including but not limited to how to implement microservice and reactive software. Passionate about open source software, Russ worked with SpringSource prior to the company's acquisition by VMware, leading the Spring Extensions project and helping international clients to simplify their software by effectively applying the Spring portfolio of projects. Continuing on from this work, Russ founded the Esper Extension project for applying CEP to Spring Integration messaging and pioneered the Spring Koans open source, test-driven personal learning project. Russ continues to be involved in the Spring community, regularly speaking on Spring and is the lead of the Spring User Group in London. Russ is also an international speaker on techniques for helping software adapt to the ever-present force of change as well as a published author, most recently of "Head First Software Development" from O'Reilly Media. 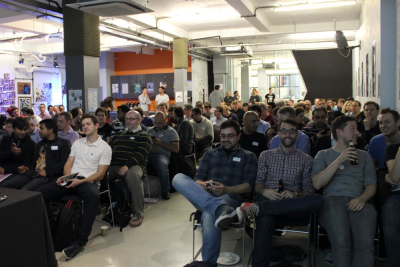 He is lead on the London Microservices User Group and heads-up the new µCon conference. Russ’ current book is being published using the LeanPub platform and is titled “Antifragile Software: Building Adaptable Software with Microservices”. The book will be completed in time for the first initial run of the accompanying course, "Russ Miles' Building Antifragile Software with Microservices”, now available through Skills Matter. When should you use microservices? Netflix started to evangelise the approach some time ago and in January, Martin Fowler and myself published an article on the topic covering our thinking and experiences the last few years. It has rapidly become one of the most talked about techniques on the interwebs. Opinions range from “it’s just SOA, move along”, to “they are the awesome”, to “you must be insane”. In order to understand when they might be useful - what problems they solve and why - we need to at least to understand what is meant by microservice architecture, before semantic diffusion claims the term in all it’s ignominy. James Lewis is a Principal Consultant for ThoughtWorks UK. He has helped introduce evolutionary architecture practices and agile software development techniques to various blue chip companies: investment banks, publishers and media organisations. James studied Astrophysics in the 90’s but got sick of programming in Fortran. James has spoken at a number of UK and international conferences. His favorite topics range from domain driven design, SOA and the future of the web to agile adoption patterns and lean thinking. He’s also heavily involved in the fledgling microservice community. He rather likes the fact that he got to describe his take on things jointly with Martin Fowler in an article that is influencing how people see the future of software architecture. Want to explore the innovation process, and how an Innovation Platform, based on microservices, can help you accelerate success by reducing the burden of experimentation? Don't miss this talk! Business models are undergoing unprecedented disruption as the full force of the digital revolution is being felt. Nimble competitors are innovating fast and bringing incumbent market leaders to their knees. A core strategy in fighting disruption is the management and implementation of the innovation process: generating, selecting, and propagating new ideas around an organisation. So what can we do to improve this process? This talk explores the innovation process, and how an Innovation Platform, based on microservices, can help you accelerate success by reducing the burden of experimentation. An Innovation Platform brings the promise of nitro to your development teams giving them a competitive edge when considering new ideas. The basis of such a platform is a micro-services architecture with PaaS like features that provides low barriers to entry and reduced friction to ’try’, allowing new ideas, no matter how small, to be easily packaged as a production worthy, and provable, service. The goal of this presentation is to give you the knowledge, jedi mind tricks, process, and tools to find a way to innovate and experiment almost limitlessly using microservices while happily mitigating the typical risks of such diversity. Gawain Hammond is the Technical Lead for Sky’s Tech Futures innovation team and so is responsible for exploring innovation and supporting the implementation of innovative ideas at Sky. Despite his disarming youthful charm, Gawain is a veteran technologist, proved by the fact that he has more photos of his old macs than his children. With nearly two decades of software and technology experience as a system administrator and subsequently a software developer he has an expert understanding of what makes technology in organisations work. He is now applying his radical threories much to the bemusement of Sky’s very patient leadership team. Gawain enjoys every aspect of technology, but especially exploring the murky depths of software philosophy. Microservices based architectures - a path to "Living Software"
The age of large monolithic software architectures needs to come to close. A 1M LOC Java EE application is an example of such a monolith. They do not age well; are difficult to change; difficult to understand; difficult to test; difficult to diagnose issues; and quickly become saddled with overwhelming technical debt. Is there a better way? Microservices based architectures look very promising. But what exactly are microservices? How do you get started? What are the benefits? What are the trade-offs? How do you design them? I will share with you my journey to the discovery of micro services. The goal of the talk is to help you understand if a microservices based architecture might be a good fit for the business problem you are trying to solve. Originally from the UK, Jason is a software guy now living in Atlanta, GA. He’s been slinging code since the age of 12 and would dearly love to be slinging code until he finally pops his clogs. He’s worked at startups, airlines, telcos and software companies big and small. He’s currently Director of Engineering at Lancope in the US - a fast growing network security company that helps enterprises protect what is important from advanced cyber threats. Although Yammer's product is targeted at businesses, our product development model is much closer to that of user facing companies, such as Google or Facebook. We needed to be an agile organization, that can quickly iterate on ideas, deliver what its users really want, and critically, move faster than the competition. In this talk I’ll explain how micro-services, metrics, and small cross-functional teams enabled us to be such an organization. After a few years working as a software engineer in Poland I moved to the UK to do a PhD in theoretical computer science, with focus on verification and optimization of real time systems using game theoretical concepts. Since completing the PhD, I worked on delivering software solutions that are scalable and enable my organization to move fast. First, as a technical architect for one of the game teams at Playfish, the London based EA game studio and now as a senior core services engineer at Yammer/Microsoft. Want to introduce microservices to your software but not sure how to pitch it to your boss? Don't miss this talk! You've bought into the dream of decentralisation and signed up for services and monitoring in place of objects and unit tests. Your team members are itching to write tiny applications in multiple languages and to deploy independent components many times a day. But before you can enter the brave new world of microservices, you'll likely need to convince someone in a suit that it's worth giving you time and money to try out this unfamiliar development method. CEOs, CTOs, CFOs, and others in the boardroom brigade are skeptical and risk-averse by nature. What problems might they see microservices solving for them, and are these sufficiently important issues to warrant substantial investment? "Doing twice as much on the same budget is a good challenge for them." "Every developer wants to rewrite the code base from scratch." "All I ask for is faster development and the next thing I know they're all pairing or deploying or whatever." organisational barriers may make some practises impossible to adopt, or just politically difficult to consider - e.g. company policies on database administration or entrenched, separate QA or operations teams We will discuss these and other potential objections, as well as possible mitigations. I hope attendees will find it helpful to have had this tour of microservices from the executive's point of view - both for making a case for the method in their organisations, and for carefully considering whether it is suitable for them. Microservices? A thing? Or hype? What does it mean in practice? The answer, like so many Facebook statuses, is complicated. In broad strokes, Microservices offer a refreshed approach to application architecture. Microservices are a new way to describe many of the patterns that have fallen out of large-scale applications in practice over the recent years. There is no doubt that the approach works. The question is: how does one build a microservice architecture? Join David Syer for this introduction to Spring's support for building microservice architectures, including both Spring Boot, and the new Spring Cloud project. Learn more about Spring Boot, Spring Cloud and check out Spring Cloud Sample Code. Dr. David Syer is an experienced, delivery-focused architect and development manager. He has designed and built successful enterprise software solutions using Spring, and implemented them in major financial institutions worldwide. David is known for his clear and informative training style and has deep knowledge and experience with all aspects of real-life usage of the Spring framework. He enjoys creating business value from the application of simple principles to enterprise architecture. David joined SpringSource from a leading risk management software vendor where he worked closely with SpringSource on a number of projects. Recent publications have appeared in Balance Sheet, Operational Risk and Derivatives Technology. Tales from the bleeding edge of the micro-service revolution. We've made all the mistakes, so you don't have to. Richard Rodger will give a talk about how he and his team implemented microservices at NearForm; the company he co-founded with Cian Ó Maidín with the vision of making Node.js a mainstream technology. Building microservices for the Cloud is easy, right?... Perhaps, but if you want to build effective and reliable services that not only work correctly within the Cloud, but also take advantage of running within this unique environment, then you might be in for a surprise. This talk will introduce lessons learnt over the past several years of designing and implementing successful Cloud-based Java applications which we have codified into our Cloud development ‘DHARMA' principles; Documented (just enough); Highly cohesive / lowly coupled (all the way down); Automated from commit to cloud; Resource aware; Monitored thoroughly; and Antifragile. We will look at these lessons from both a theoretic and practical perspective using several real-world case studies involving a move from monolithic applications deployed into a data center on a 'big bang' schedule, to a platform of JVM-based loosely-coupled components, all being continuously deployed into the Cloud. Topics discussed will include API contracts and documentation, architecture, build and deployment pipelines, Cloud fabric properties, monitoring in a distributed environment, and fault-tolerant design patterns. Tareq has a strong interest in programming languages, ranging from Scala and Python to Google Go. He has expert knowledge in a number of NoSQL technologies, including Neo4j, MongoDB and Redis. He is also co-author of Neo4j in action, the comprehensive guide to Neo4j. Tareq has been actively involved with the Spring project since the early days, and has been a committer on Spring Web Services. Discover more about Tareq’s interests on his personal blog, found here. Take a walk through an example of a large real-world legacy financial services platform that’s under improvement. Understand the challenges this presents, where existing tools and techniques fall down, and why micro-services might be a better way. Steve has 16 years’ experience developing software, leading teams and changing organisations in the e-commerce, financial and legal domains. He was first introduced to agile methods with XP in the late 90s and since then has gained experience in Scrum, Kanban & Evo amongst others. Steve is based in London and currently leads E-commerce Development at Sage Pay pioneering the adoption of a micro-service architecture. Find out more about Steve via LinkedIn and Twitter & check out SagePay here. Mark Landeryou is an experienced software writer and researcher, currently working as a Java developer at Sagepay. Mark has previously worked at both large and small companies developing innovative web based applications. In this talk we're going to see how microservice architecture emerges from the constraints of reality. We will face the problems imposed by reality, and show how they can not only be solved, but how the constraints free us from misconceptions that are otherwise very easy to acquire. We will also explore how distributed systems are at the heart of microservice architectures and how communication shapes the structure, behavior and development of the software. After many years of the largely enterprise-scale SOA philosophy being applied across multiple systems, we’re now seeing some of that philosophy being applied to the design of the systems themselves with Microservices. Unfortunately, unless we integrate these enterprise and system level philosophies appropriately, we’ll end up with a mess of data duplication and coupling that may even result in businesses running on inconsistent data. Join Udi for a discussion of a unified approach that leverages the best of both worlds. Microservice Architecture is now becoming the standard for a large range of companies. Amid the problems to solve when building micro-services, developers need to think asynchronously. Reactor offers a progressive and non opinionated concurrency handling to any JVM application — and beyond. Not only is it a handy lightweight toolkit, it is also part of the Reactive-Streams specification and as such is interoperable with friends such as RxJava or Akka. Come discover some tips and tricks when building micro-services on top of Reactor, understand how it builds on top of Reactive-Streams specification and why this is a game changer in today's software development. Working at Pivotal, Stephane is Software Architect with extensive experience aligning various OSS technologies. Multi-tasker eating tech 24/7, Stephane is interested in cloud computing, data science and messaging. He is on a mission to help organisations transform their applications into consumer-grade software. He co-founded the Reactor Project to help developers create reactive, low-latency fast data architectures on the JVM and beyond. Microservices - SOA reminded of what it was supposed to deliver? Are Microservices really something new and different, or is just SOA as it was intended or are they just distributed objects revived? What are the qualities of microservices, how can we determine the right size for a service, what are the consequences of our service integration patterns, what's the difference between the logical and physical views of a service and how can avoid avoid the traps of yet another failed SOA? Jeppe is a seasoned architecture coach and software developer. He firmly believes that to stay effective as an architect you need to eat your own dog food by coding the architecture. A new project with a microservices architecture, RESTful interfaces, devops, Docker containers, ETL tools and polyglot data storage - and of course all deployed to the cloud. Have we been sucked in by the hype, or is this a brilliant way of writing software? Looking back with the benefit of hindsight, we review the reasons for our decisions, the mistakes we made and the lessons we learnt about implementing and deploying microservices. Topics We Hope To Cover - Reasons for using microservices - Service decomposition - Microservice isolation in the cloud - Implementing security - Deployment without insanity - Introducing microservices to a different team - Operating and maintaining the architecture"
Rob’s interests in computing are wide and varied, having been involved in programming everything from assembly language on embedded processors through to web stack. He has been a consultant at Catalyst Computing Services for the past 11 years, particularly enjoying the opportunity to do detailed research - be it looking at performance, assessing different options for a client, or finding solutions to new problems. He has degrees in mathematics, and computer speech & language processing. Peter started as a C programmer back in the late 1980s and is a software & data architect, developer, trainer and interim manager. Since 2003 he has worked as a consultant with a range of organisations ranging from large multinationals to small startups. His primary focus is complex projects that combine challenging technical, business and organisational issues. When transitioning from monolithic applications to distributed microservices we face new different challenges when it comes to performance. Aggregating reponses used to involve only a single database join; now information is retrieved from multiple services by making several API calls, introducing complexity and latency. Caching becomes much more important to ensure our new aggregation-based service can deliver results in a performant, responsive manner. But where should we create this cache? How long should we cache for? Should our services be aware of it? What software and architecture should we use when creating our caching platform?. We will talk about our approach, and our use of NGINX, Memcached and Couchbase to boost the performance of our services. Thomas Lillington is a Developer at Net-a-Porter. He joined the company as a fresh-faced graduate, having an opportunity to work in many different languages and on many projects both large and small. A relatively recent convert to Scala he is now finding his way in a functional, SOA world. Matt came through the graduate scheme at Net-A-Porter having been fresh out of university, and now works for the NAP Tech team. As a full stack developer he is currently working on a new service-based platform for the user-facing website, predominantly in Node.js, but also with a bit of Scala and Java. Greg is an independent consultant and serial entrepreneur. He has 10+ years of varied experience in computer science from embedded operating systems to business systems and he brings a pragmatic and often times unusual viewpoint to discussions. He's a frequent contributor to InfoQ, speaker/trainer at Skills Matter and also a well-known speaker at international conferences. Greg also writes about CQRS, DDD and other hot topics on www.codebetter.com. Moving away from monolithic to microservice architectures means plunging head first into the cold waters of integration and distributed systems. Platforms that have a lot of moving pieces have to be designed from the ground up to be resilient and ensure consistency of state across the system. To achieve this you need to consider problems such as how multiple services with their own state, including legacy services, ought to be coordinated; taking into account mid-operation outages in the services themselves as well the coordinating system. All while relying on non-transactional inter-service transports such as HTTP. Once the platform is deployed, to operate it you will need an insight into the overall state of the system and that of the business transactions running within it. This presentation will describe a set of architectural patterns for building out resilient, consistent microservice-based systems that leverage off-the-shelf products that are already inside your organization. We will discuss the implications of those patterns in terms of the system's overall operation, what tooling you need to build out to effectively manage your platform, and the functionality that you need to build to support those tools. You will come out with a much clearer picture of the main considerations, as well as a list of tasks, that need to be addressed to build and operate a platform based on microservices. Jakub Korab runs his own specialist consultancy Ameliant, working in the area of open source integration and messaging. Over the years, he has worked with dozens of clients across a broad range of industries to develop scalable, fault-tolerant and performant system integrations. He is co-author of the “Apache Camel Developer's Cookbook”. For the last couple of years modularity has been a popular architectural theme. Although being able to deal with change in a (large) codebase is not something trivial and requires some serious thought, technical solutions for dealing with this, such as OSGi, have become pretty much mainstream. In this talk Bert will show you that it is actually pretty easy to achieve a modular architecture using OSGi, and the right set of (open source) tools. Last but not least he will discuss how to deal with deployment and provisioning of such applications. Bert is the co-author of the O’Reilly book 'Building Modular Cloud Apps with OSGi' and is using these tools and techniques in high profile production applications on a daily basis. There are interesting parallels to draw between this approach and with what is being called muServices today. Bert Ertman is a Fellow at Luminis in the Netherlands. Besides his day job he is a Java User Group leader for NLJUG, the Dutch Java User Group (~4000 members). A frequent speaker on Java and Software Architecture related topics as well as a book author and member of the editorial advisory board for Dutch software development magazine: Java Magazine. In 2008, Bert was honored by being awarded the coveted title of Java Champion by an international panel of Java leaders and luminaries. Bert is a JavaOne 2012 Rock Star Speaker and a 2013 Duke's Choice Award winner. In theory microservices rock; there are just some practical issues to address in making them effective in your organisation; in particular its about packaging, provisioning, incremental rolling upgrades, wiring, scaling and management. This talk will demonstrate how to easily develop, provision and manage microservices using only 100% Apache licensed open source tools on a host machine, with docker or on the cloud. We aim to show you how easy it is to implement microservices across your organisation using completely open source based tools helping developers rapidly develop and iterate while also helping operations to understand, monitor, manage and efficiently scale. We'll demonstrate how to take any off the shelf Java project using maven with any framework, libraries or middleware and immediately deploy it as a microservice; either stand alone, on docker, on EC2 or on a PaaS like OpenShift with manual or automatic scaling while taking care of all the management, service discovery, load balancing and wiring while having full operational monitoring and management tooling. nice web based tooling so folks can understand their whole system easily. how to migrate iteratively from an application server centric approach to micros services as you gain more confidence in using finer grained deployment units and moving away from application servers to smaller, more focussed micro services. All using 100% Apache Licensed open source tools. We hope by the end of the talk you’ll be eager and ready to try deploy your first micro services in your environment. James Strachan created the Groovy programming language and Apache Camel and was one of the founders of these open source projects: Apache ActiveMQ, Apache ServiceMix, fabric8 and hawtio. James is currently Senior Consulting Software Engineer at Red Hat and has more than 20 years experience in enterprise software development with a background in finance, consulting, and middleware. He also loves microservices. "The Monoliths days are numbered", so the saying goes. By this point of the conference, you'll have seen the talks on "intro to microservices", "war stories with microservices", and various attempts to redefine the term towards containers, virtual machines, ESBs and the like. I hope you've had fun. Don't come to this talk if you'd like any more of that. I'm going to talk about distributed computing, why it matters and why you need to care when developing your systems. The conventions that are developing around Microservices create certain effects in your newly minted distributed system. Come to hear about some of them, what you should harness, what you should fear, and where this has led us to push technology. Brendan is a Senior Consultant & Trainer at BoldRadius, where he works directly with clients to help them find success through consulting and training on the Typesafe Reactive Platform. With over 15 years of software development experience, Brendan boasts an impressive resume that has seen him work at Netflix, Typesafe, and MongoDB. Brendan is a renowned speaker and luminary in the Scala community, and is a regular presenter at industry leading conferences such as Scala Days and Scala eXchange. His deep technical knowledge coupled with his outgoing and approachable personality not only make him a great speaker, but also a phenomenal trainer on the Typesafe Reactive Platform. Check out BoldRadius here, or follow Brendan on Twitter. If you would like to sponsor this event, we'd love to hear from you! Engage with the µCon community! Show off your team, projects, tools or devices at your µCon conference booth! Visibility of your brand and your support for µCon in regular social media updates. Be remembered! Have your logo printed on all µCon t-shirts, provided to all conference attendees, speakers and sponsors attending this year. Be remembered! Have your logo printed on all µCon swag bags, provided to all conference attendees, speakers and sponsors attending this year. Exclusive to one swag bag sponsor only!